In business and in life, we often have an idea of what “should” come next. This “should” is dependent on the plan we’ve developed — the idea of where we want our business to be. The problem is, most business owners don’t know what business they are really in. This is what Elatia discovered when she made a last minute decision to attend Business Mastery. If you asked Elatia what business she was in before attending Business Mastery, she would have told you she offered consulting services to help individuals find fulfilling careers. She was planning to release a product as her next step and she came to Business Mastery to help execute that plan. On the first day of Business Mastery, Tony asked “What business are you really in?” and Elatia realized she was in the business of turning the light on in people — in making them feel alive at work. Discovering her real mission helped Elatia see that there were so many ways to give people the opportunity to feel alive at work that extended far beyond what she had planned for. Tony helped Elatia look at her business from a new perspective and she discovered there were an infinite number of ways she could achieve her ultimate business mission. At Business Mastery, Elatia found something even better that what she had originally planned. The clarity Elatia received on the first day alone helped her discover her next step wasn’t to release a product — a decision that saved her tens of thousands of dollars and helped her make even more than that. Instead, she optimized her business and shifted her focus to the areas that earned her the most money. By doing this, Elatia’s business took off and she found a whole new stream of revenue. Business Mastery made her realize that there were limitless opportunities for her business. What is your business capable of? 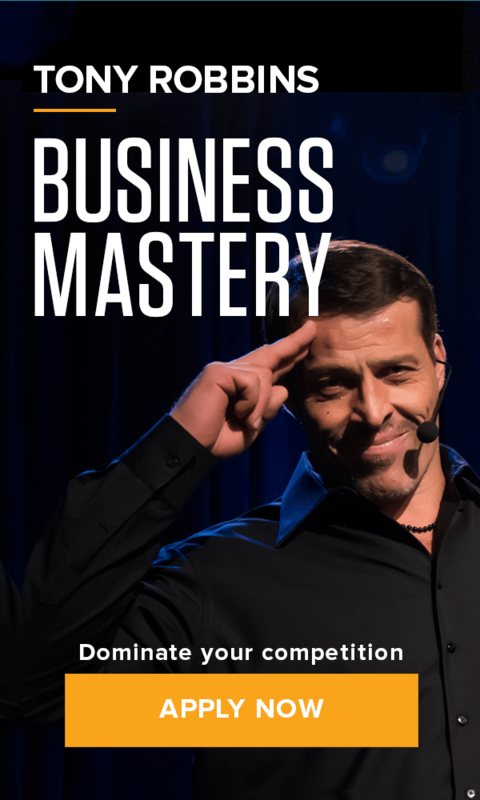 Discover the answer at Business Mastery.